The truly diverse hiring process is one that completely ignores gender, race, age, and other diversity factors. Is there something missing from your recruitment strategy? Or to put it another way, when it comes to spotting talent, are you really as clear-sighted as you think you are? To answer this, let’s focus on your talent pool. This database of prospective candidates can and should be one of your most valuable business assets. It means that when it’s time to recruit, you have the details of the “brightest and best” candidates right there at your fingertips. So far, so good. But remember; a talent pool is only as good as the people who are in it. As a start, imagine the highly capable candidate who takes a look at your organisation and decides “this isn’t the place for the likes of me”. Or consider the applicant for a specific opening who objectively should be called in for interview. Trouble is, thanks to a combination of unconscious bias and a haphazard selection process, they don’t make it past the initial paper sift. The talent pool is too shallow.It isn’t doing what it’s supposed to do - i.e. attracting the brightest and best. This is because too many potential applicants are ruling themselves out from being considered for positions (e.g. on the basis of gender, ethnicity, nationality, sexual orientation or disability). The talent pool has a major leak.Consciously or unconsciously, the business has a narrow image of what a suitable candidate looks like. Objectively suitable applicants are not progressing as far as they should through the selection process because they fail to fit into this model. If you’re wondering why this is a business problem, a quick glance at demographic trends across North America and Europe should quickly put you in the picture. Women make up half of the workforce. Population growth across Western Europe and the US over the coming decades will be driven by immigration. The proportion of people who self identify as being a member of an ethnic minority is on the increase. At a governmental level, there’s a drive to encourage people with disabilities to play a more active role in the workforce - and for employers to enable this. Women make up around half of the workforce.According to Pew, the female share of the workforce in the US and EU is 46.8% and 46.5% respectively. Population growth across Western Europe and the US over the coming decades will be driven by immigration.US Census Bureau figures suggest that by 2050, immigration will account for more than 80%of population growth. The UK’s population is expected to grow by just over 7.3 million over the next 25 years. Immigration will account for more than three-quarters of this growth. Nearly all of our communities are increasing in ethnic diversity.In the US for instance, Salon recently calculated that the last three decades have seen an increase in diversity over the last three decades of 98% in major metropolitan areas - and 97% in smaller cities. At a governmental level, there’s a drive to encourage people with disabilities to play a more active role in the workforce - and for employers to enable this.The UN Convention on the Rights of Persons Disabilities is a prime example. Ratified by the EU, the emphasis is on removing the environmental and social barriers faced by disabled people. If you stick to a very narrow profile of a model employee - and if you’re no good at attracting and retaining people who don’t fit into that model, you’re going to be competing for a gradually narrowing portion of talent. If you’ve got a diversity problem right now, it’s only going to get bigger… Here, we’ll show you how to identify any specific diversity problems your business is facing. We’ll also highlight the tools and processes that can help you grapple with those problems; all focused on getting your recruitment strategy back on track. So far, we’ve mentioned diversity from the perspective of widening your talent pool; i.e. making it easier to identify and recruit the brightest and the best. But looking beyond recruitment, what are the wider benefits of having a diverse workforce? How will it make your business better? justifiable; i.e. you should be able to point to sound business reasons for your change of approach. That’s why it’s always worth looking at your organisation as a whole (job functions, processes, departments, markets) to find concrete ways in which bringing on board a more diverse workforce is likely to make a positive difference. It informs you which areas to prioritise.You have a general goal of diversifying your workforce across the board. Yet at the same time, you’ve identified that more diversity could be especially welcome in your customer service and marketing departments (bringing the advantages of fresh perspectives on attracting and retaining customers from new target markets). Over in your technical department meanwhile, you are struggling to find suitably skilled people to fill key roles. These departments might be prime areas to focus your efforts. It avoids you adopting a “quotas for quotas sake” approach. It’s not about bringing on board people who tick certain demographic boxes just for the sake of it. 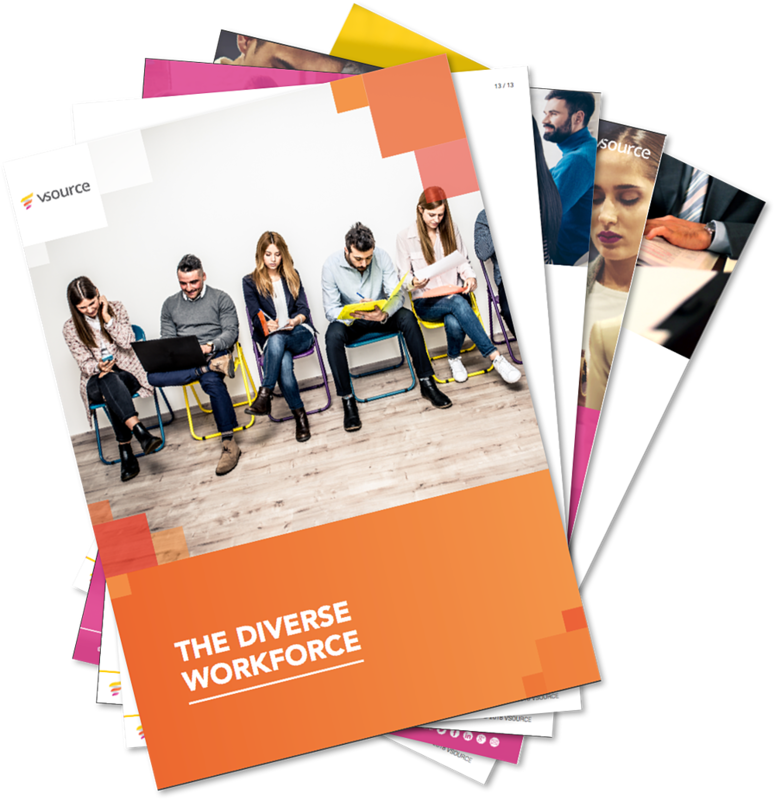 If you focus on how and why greater diversity in your workforce might benefit your business, it becomes possible to go about it in a way that benefits everyone: candidates, the business and existing staff alike. It makes it easier to achieve buy-in across the board. Establishing a strong organisation-specific case for greater workplace diversity makes it more likely that key players within the organisation (the board, departmental heads, all those involved in the selection and interviewing process) will take it seriously. Your sales performance is a little stale. Are you failing to reach out to certain groups of potential customers in the way you’d like? If all or most of your people are from the same background with similar outlooks and approaches, this could be one of the reasons why. Intel points to research suggesting that on average, for every 1 percent increase in gender diversity, companies see a corresponding 3 percent rise in revenue. Likewise, for every 1 percent rise in ethnic diversity, companies see a 9 percent revenue boost. bilingual employee earns, on average 10% more revenue - no matter what language they speak! You’re short of new ideas. Identikit employees can too often mean same-old, same-old answers. From the C-suite to the shop floor, there’s a lot to be said for bringing on board fresh perspectives; to tackle the problems your business is facing from new angles. It’s thought to be one of the reasons why ethnically diverse and gender-diverse companies are, respectively, 35% and 15% more likely to outperform the market average in terms of revenue. Your existing people want to see a change. Staid, monochrome “closed shops” just don’t feel right. Most people prefer working in the type of place where everyone is given a fair chance - and where there’s a dynamic and diverse workforce. Glassdoor found that 57% of people thought their bosses should be doing more to bring on greater diversity in their companies. Over the last couple of decades especially, most jurisdictions have developed detailed frameworks for tackling discrimination. In all areas of regulation, legal compliance is too often seen as a headache. But once you’ve recognised the potential benefits of greater diversity for your business, you can start to view the anti-discrimination law in a very different way. Not as a problem - but as a framework to help you achieve your aims. • Disability In some countries there are separate laws aimed specifically at providing protection to distinct groups. More commonly, there will be a single “Equality Act” covering multiple protected characteristics. • The legal position tends to shift over time - in relation to the statutes themselves and the ways in which they are interpreted by the courts. HR needs to keep abreast of these changes, and it’s worth carrying out an “equality law audit” from time to time to ensure that nothing has been missed. • Look beyond the letter of the law. The Equality Commission (or similar body within your own jurisdiction) will almost certainly publish best practice guidelines. These can be useful for knowing how to stay within the law in real life situations. • What physical changes might be needed to your workplace? This relates most closely to disability law (e.g. things like wheelchair access and specialist IT support). On the access point, bear in mind that it can relate to both employees and to customers. • Should you enable flexible working? This can have a direct bearing on your efforts to encourage diversity; for instance, where flexible working is requested in order for an employee to meet their family commitments. • Is there a problem with workplace culture? In particular, are behaviours present that might amount to harassment or bullying? • Job advertisements: watch your language! You advertise for a young, ambitious graduate. Does the “young” element of this mean that you fall foul of age discrimination provisions? Is there a legal requirement (or else a best practice guideline) that suggests you ought to state specifically that all applicants will be treated equally, regardless of demographic characteristics? Look carefully at the specific rules in place. • The interview: what questions are off the cards? Direct questions about an applicant’s family situation (number of kids, are they planning on having any more!) are especially likely to be deemed discriminatory. Likewise, there tend to be restrictions on health-related questions - and on requests to view health records unless and until those requests are to determine whether any reasonable adjustments to the workplace will be needed in order for the applicant to do the job. • Positive action: what is and isn’t legal? You’ve identified the fact that a particular group of people are woefully underrepresented within your workforce. So is it legal for you to give “special preference” to members of that group at your next recruitment round? Many jurisdictions are careful to make a distinction between taking a protected characteristic into consideration as opposed to more favourable treatment. Check the provisions in your country carefully, but it’s often a case of being able to use the special characteristic effectively as a “tiebreaker” if you are faced with multiple candidates who are all equally capable of doing the job. To rely on this “tiebreaker” positive action approach, it might also be necessary to show that persons within that group are under-represented in that particular role or across your business as a whole. Trade associations - and in particular, professional regulatory bodies are often very keen to do what they can to develop greater workplace diversity in their respective fields. • Continuing professional development. Courses focused on things like recruitment interview techniques and how to read professional CVs in a ‘diversity friendly’ way can be a big help. They are also a genuinely useful way of earning CPD points! • Protocols. These can give you industry-specific tips on things like the wording of advertisements and on how to build a culture that encourages greater diversity. • Charters. Those organisations that meet professional standards on diversity often get the benefit of diversity charter recognition. With this, firms are entitled to publicise the fact that they have been recognised as demonstrating a commitment to inclusion. In turn, this can encourage an even greater number of applications from members of protected groups. It can also enhance a firm’s ability to provide a high level of service to an increasingly diverse client base. What does a diverse workforce actually look like, taking into account your sector, firm type and where you are based? How do you compare to other, similar organisations? In other words, are you winning or losing the diversity battle vis-a-vis your competitors? It can be hard to gauge this - especially if all you have to go on are snippets of anecdotal intel or the occasional article in the industry press! But here’s the good news: it is possible to get a more formalised, accurate view on what’s happening across your industry. In particular, you might want to take a look at the vsource diversity sourcing resources center. 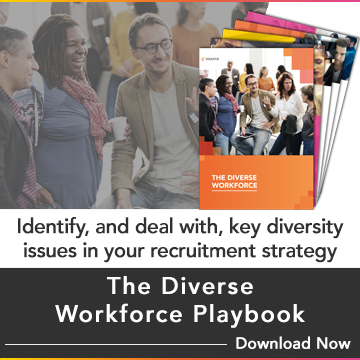 Constantly updated, it gives you lots of useful information on how your diversity recruitment efforts are shaping up compared to others in your sector. You’ve identified the business case for greater diversity in your organisation. You are also full on top of your legal and professional obligations in terms of fostering greater inclusion and preventing discrimination. A gender imbalance within an organisation is especially likely in those industry sectors where women are underrepresented across the sector as a whole (construction provides just one example). But even where there are a high proportion of women within a business, there’s still a potential diversity problem if those women are failing to reach board level. In the UK for instance, we see that despite the fact that women make up around half of the total workforce, just 22% of board members are female. 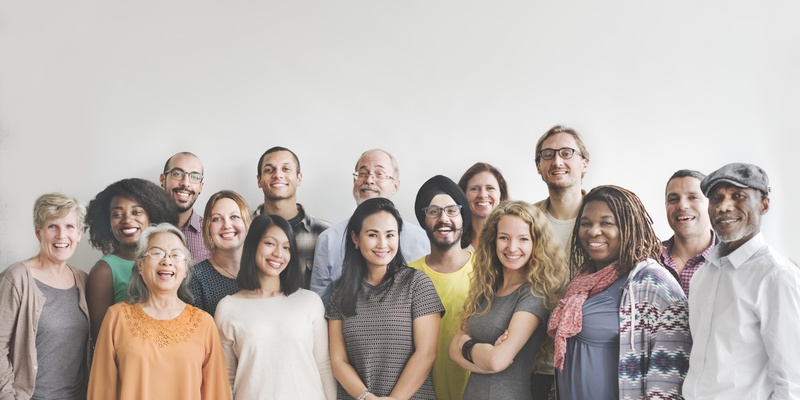 If there is an absence of ethnic diversity within an organisation, it can often be because the firm is not seen as a natural destination for “people like me”. Much is made of the value of social networks and recommendations when it comes to recruitment. While these can be useful, it’s important to realise that they can sometimes have a limiting effect; especially if the vast majority of your firm’s wider social network are from the same ethnic group. • Making diversity feature more prominently as part of your employer brand. If you run a series of “employee case studies” on your blog (i.e. focusing on the career progression of some of your existing staff members), look to make sure underrepresented groups are included in these. • Taster days. Consider having open days in your own organisation - and also consider the possibility of putting forward a pitch at job fairs and similar events. This can be a useful way of widening your recruitment net. • Appropriate training for interview panels. Can interviewers objectively support the decisions they make? Are they unconsciously favouring applicants from particular groups? It’s one of the reasons why a panel can be more useful than a single interviewer (when interviewers discuss their preferences and justify their decisions, there’s a greater chance that biases will be effectively weeded out). It can also be beneficial if interviews are based on a set series of questions (rather than a general discussion) in order to ensure a level playing field). • Enabling you to “go blind” when it comes to candidate selection. You have given the staff involved in the initial paper sift instructions to draw up a shortlist based on merit alone. Problem is, recruiters can sometimes veer towards certain preferred groups without even realising it (for instance, when they get a “good feeling” about particular resumes - and “like the sound of” certain individuals and not others. That’s why it can be valuable to use a tool that allows for anonymous candidate selection based on core skills and experience alone. • Enabling targeted searches. Let’s say you want to invite a number of potential employees into your organisation for an open day or taster day. The right sourcing platform can enable you to perform targeted searches based on your specific diversity requirements. So you’ve recognised the importance and potential value of diversity to your organisation. So what next? Through our talent sourcing platform, blind-hiring platform and diversity sourcing expertise, vsource can get you off to precisely the right start. Speak to our experts today, and let’s get started on tapping into a richer seam of talent. Fill the form below and our Diversity Sourcing team will be in touch with you soon!